The great ray of hope that Battlestar Galactica represents is declining and weakening. For those who still believe in peace, the future is in the hands of a single ship. The Demetrius, guided by unknown forces, is preparing a journey through the stars... a journey to a new home. In this time of despair, humans and Cylons must make the necessary decisions. For some, this means trying everything for all. For others, this means mutiny. 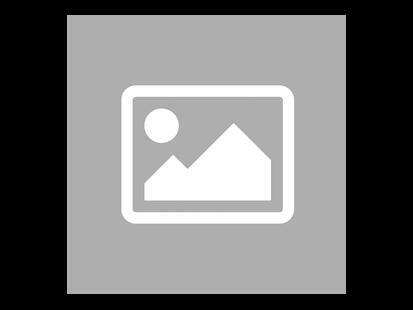 The Renewal Extension for Battlestar Galactica: The Plateau Game takes players on board in the last chapter of Syfy's popular series. To survive, the human fleet must face betrayals, threats of mutiny and the mysterious motivations of the Cylon Leaders. Renouveau offers players new and exciting elements: Twelve new characters will offer players new gameplay possibilities, and even the chance to play a Cylon Leader. The new Competency cards and Miracle counters give players new resources and even more strategic opportunities to use their characters' abilities. The new Crisis and Mutiny cards force players to challenge authority at the risk of being sent to a "Cell". The Quest variant of a Foyer offers players the chance to finally reach Earth using new plateaus to accomplish dangerous missions. With all these possibilities, the struggle between humans and Cylons has never been so desperate! Be careful this game is an extension of Battlestar Galactica: Le Jeu de Plateau and cannot be played alone. 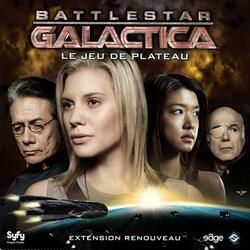 To be able to play it you must have a copy of the game Battlestar Galactica: Le Jeu de Plateau .